Hello, Community on the Cape Fear! Megan here. I felt that something desperately needed to be said about last night (Friday, January 12th, 2018). Sincerest apologies are due to each of you who came out. We were caught so unexpectedly by the size of the crowds of hungry people that came to Mermaid Point yesterday evening. We have never, ever seen that many folks come out to have dinner and enjoy themselves at the restaurant. Last night was rough. Last night stung, and we feel horrible things just didn’t come together the way we’d planned. 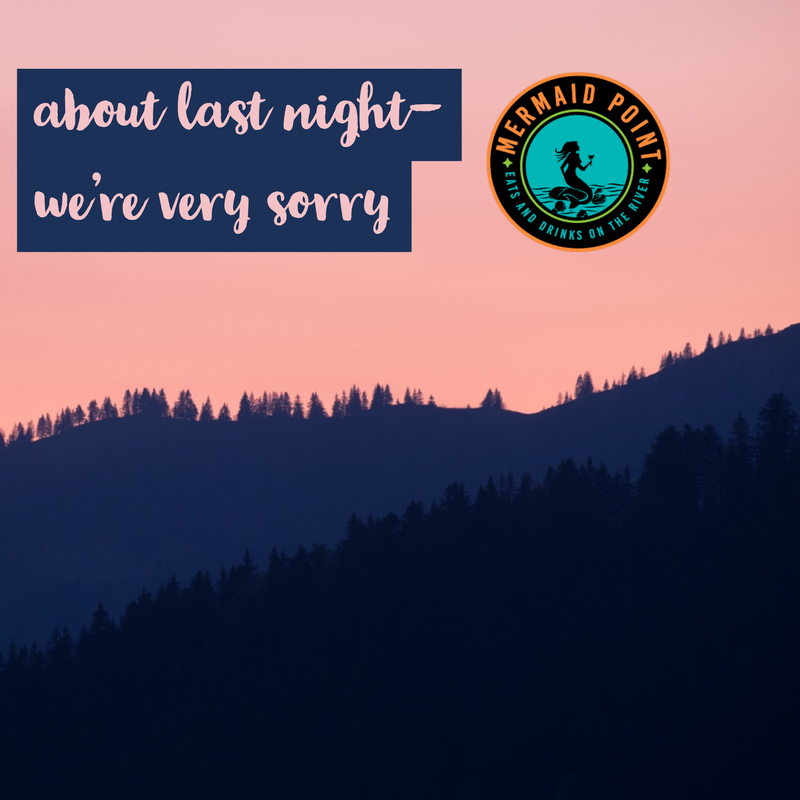 To everyone who waited over an hour for food that may or may not have come, to those who were waiting outside just to be seated, to all those folks who left after already waiting so long– all of us at Mermaid Point are truly and emphatically sorry! That being said, I hope all of you can understand that we’re experiencing some very big growing pains. Please bear with us after this and I promise that Mermaid Point will only become better and better. We’re learning from each and every mistake we make. We ask for your forgiveness and hope that we’ll see you back for another try. We are so thankful for how our grand opening day unfolded, thanks to you! 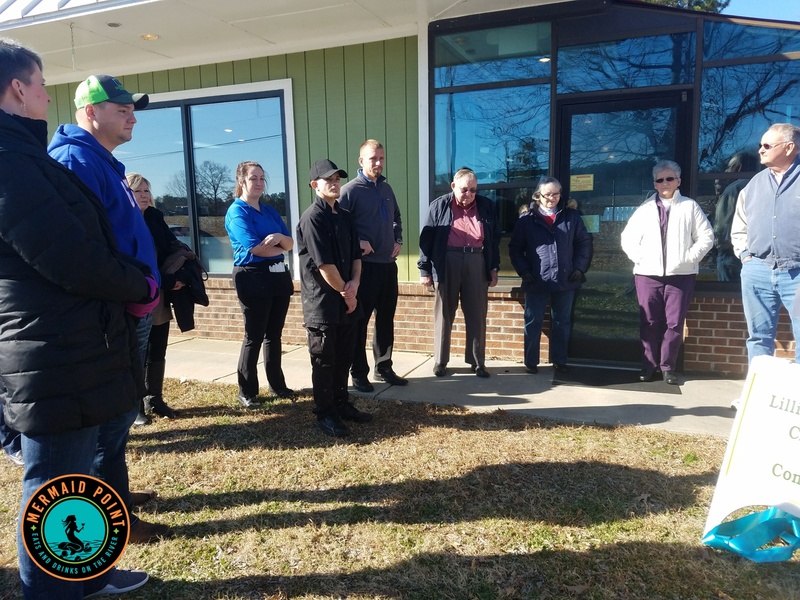 The ribbon-cutting ceremony was attended by our own Lillington Chamber of Commerce and several of our amazing kitchen and dining room staff. We’re so happy that the ORIGINAL Mr. Howard Avrette made sure to attend the ceremony; it was an honor to have him present for that moment. And who else decided to pop in for lunch? Why none other than Mr. David Avrette! We’ve known David ever since we started renting the river shack for Cape Fear River Adventures back in 2012. He’s been a great support to us over these years and of our family’s businesses. His friendship is another thing we are thankful for! During the day, we gave away 20% off coupons and had such a nice crowd of folks come in and eat delicious food. The evening brought fantastic acoustic entertainment by a duo from the band, DL Token. The band is based in nearby Sanford, NC. We’re glad they’re close by because we want more DL Token! The music was played indoors, due to our record-breaking cold week here in the South. The set-up couldn’t have been more perfect! Two talented musicians playing an intimate evening acoustic set for our customers was a nice and relaxing way to conclude Mermaid Point’s grand opening. Grand Opening- Jan 5th, 2018! Heeere we are again! Another year gone by, another notch on our lipstick cases. With the new year right around the corner, we just can’t help but be excited about our new beginning too! 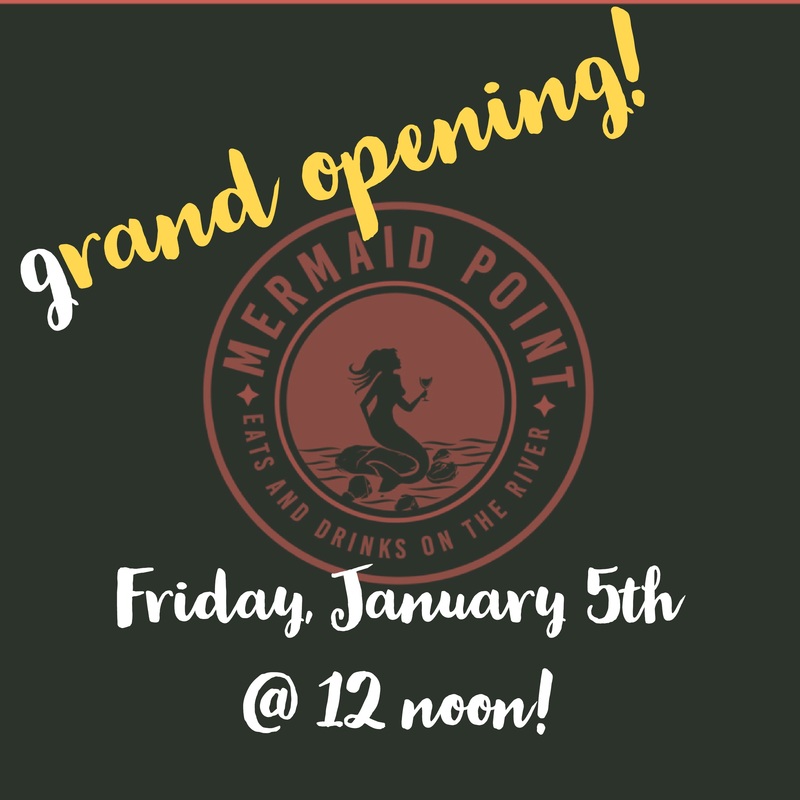 Mermaid Point is delighted to announce our grand-opening has been set for Friday, January 5th, beginning at 12noon! We’re also extremely pleased to be hosting the DL Token band, who will be playing an “unplugged” music set starting at 7pm that night! Click the link below if you’d like a little taste of what their music style is like. Please stop by and say hello on Friday! 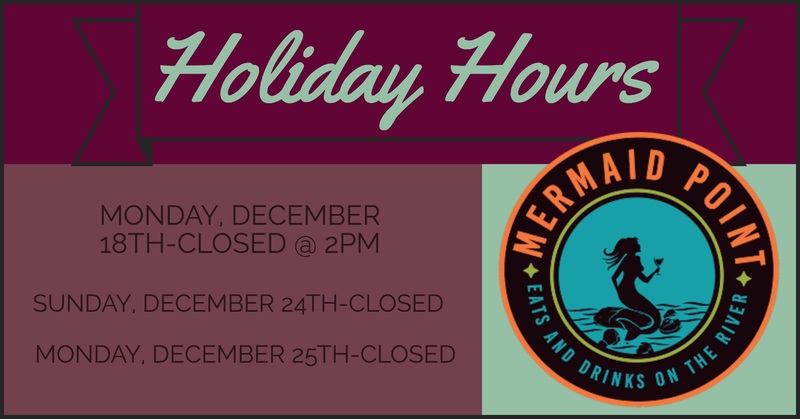 Because you’re always welcome at The Mermaid! We will be open for lunch but closing a little early today, Monday, December 18th at 2pm to celebrate our team. Guys, we have the most amazing staff here at Mermaid Point (previously Howard’s Barbecue). We’ve got folks who’ve been working here for decades and people who joined us after Ilia and Megan acquired operations. Mushiness aside… Everyone we’re celebrating today is nothing short of incredible. Thank you so much for sticking with us and, most of all, believing in achieving the dream: great food and great service! Hey everyone! Mermaid Point here. Along with all the excitement, anticipation, and optimism of opening a new restaurant comes some anxiety. Well, we won’t lie. There’s a lot of anxiousness in the air right now. 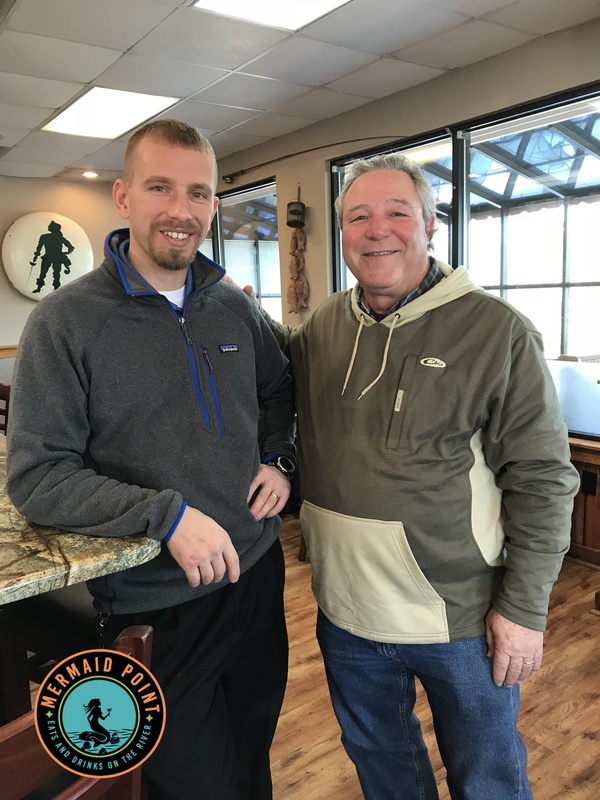 We here at the Point know that Howard’s Barbecue has been a stalwart local business and community pillar in the town of Lillington for the better part of 40 years. Making the decision to change Howard’s Barbecue to Mermaid Point was a long, soul-searching process if we’re going to be completely honest here. Ultimately our hearts told us that we couldn’t run Howard’s Barbecue the same way the Avrette family did. 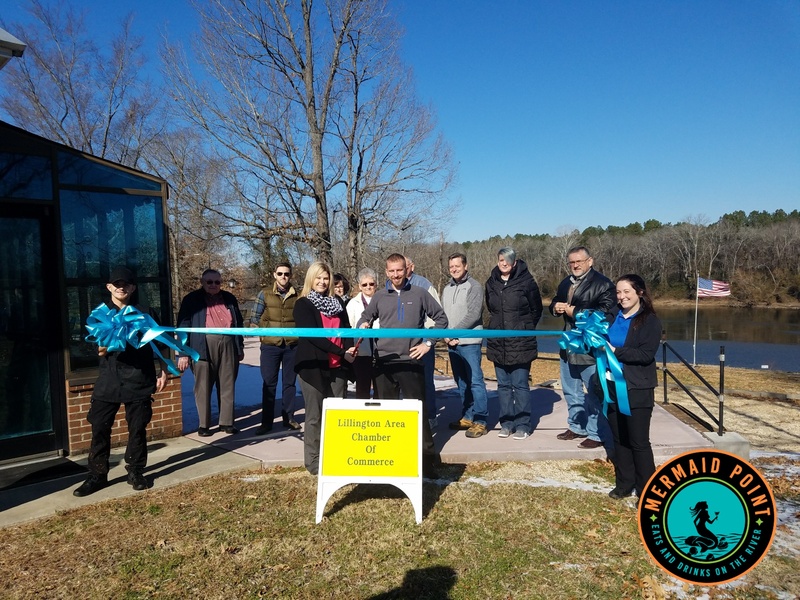 We wanted to keep the new name in line with the closeness of the river and it’s importance to Lillington- both in the past and on into the future. Mermaid Point is the location most well-known as the beginning of the Cape Fear River. With the end of the, dare we say, “Howard’s Era” and the new beginning of “Mermaid Point”, our purpose is to sustain an environment of family, great food, good times, and gorgeous sunsets over the Cape Fear. We’ll be sharing this journey with you, our community, and looking forward to a bright future with Mermaid Point. Howard’s Barbecue and the Avrette family will always be remembered and honored here. Howard’s Barbecue started everything at this restaurant. Our goal is to earn our place in Lillington the same way that Howard’s family did for all those years before us. That being said, we hope you’ll enjoy this article written by The Rant. It gives a little information on the history of Mermaid Point and the name change from Howard’s Barbecue to Mermaid Point. Of course, if you have any questions or comments about how we’re doing, our ears are open! See you on the river, y’all!